Good food and nutrition are essential to promoting the health of children and youth and preventing chronic diseases. Our eating habits are influenced by the settings where we live, play, and grow. Municipalities have the ability to foster environments that provide and encourage healthy food choices. For example, did you know that municipal zoning can limit unhealthy food vendors near schools? 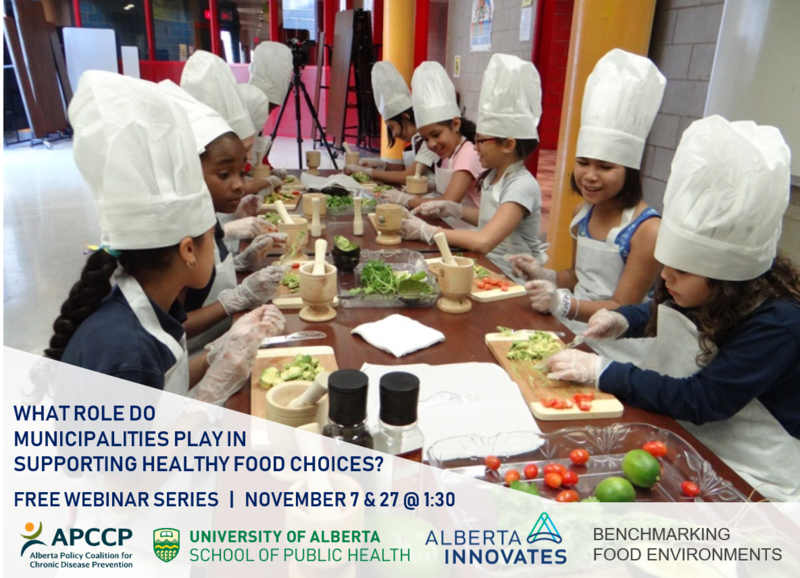 AUMA, RMA, Alberta Policy Coalition for Chronic Disease Prevention (APCCP), and Benchmarking Food Environments Project based out of the University of Alberta have partnered to host a free, two-part webinar to introduce the Alberta Nutrition Report Card, highlight areas for action, and provide practical tools and strategies to support healthy food environments. There will also be opportunities to discuss how you can apply tools and strategies locally.